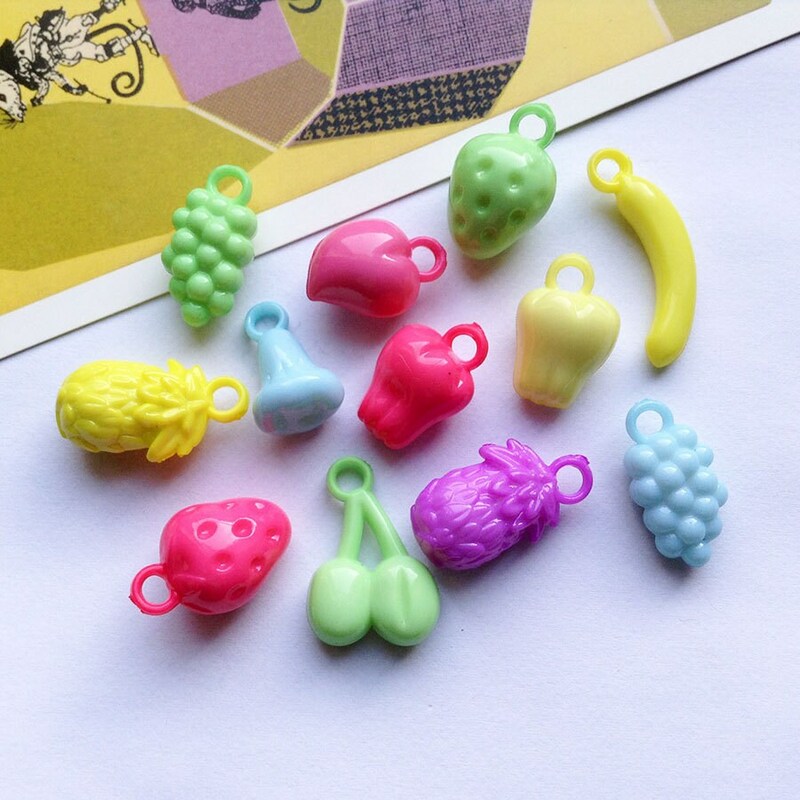 A kitsch mix of acrylic fruit charms - a rather surreal mix which might include a purple banana, yellow cherry, blue pineapple and pink apple. 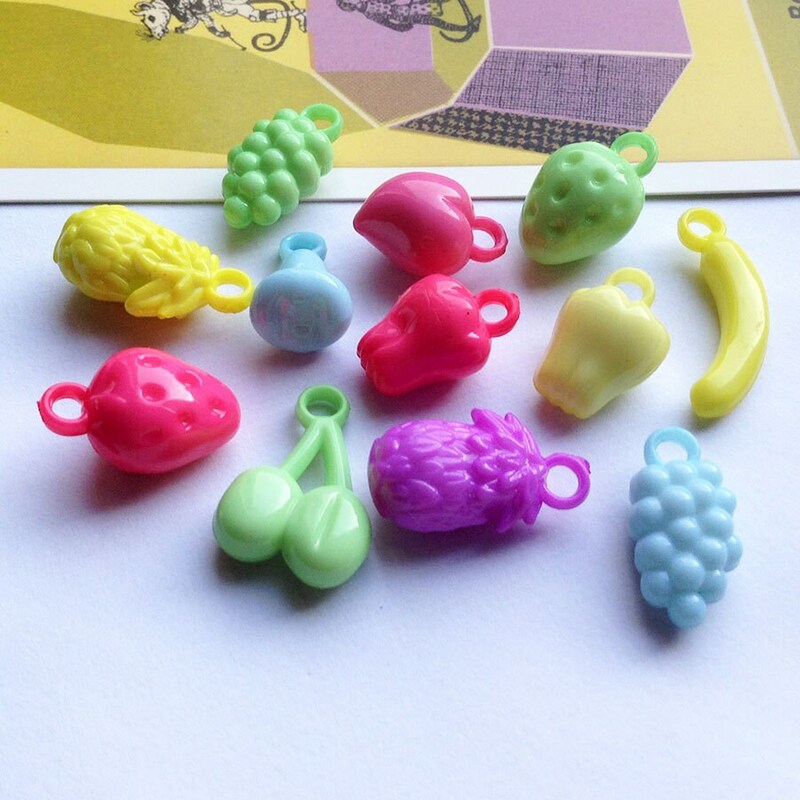 Lightweight and good for fun costume jewellery. 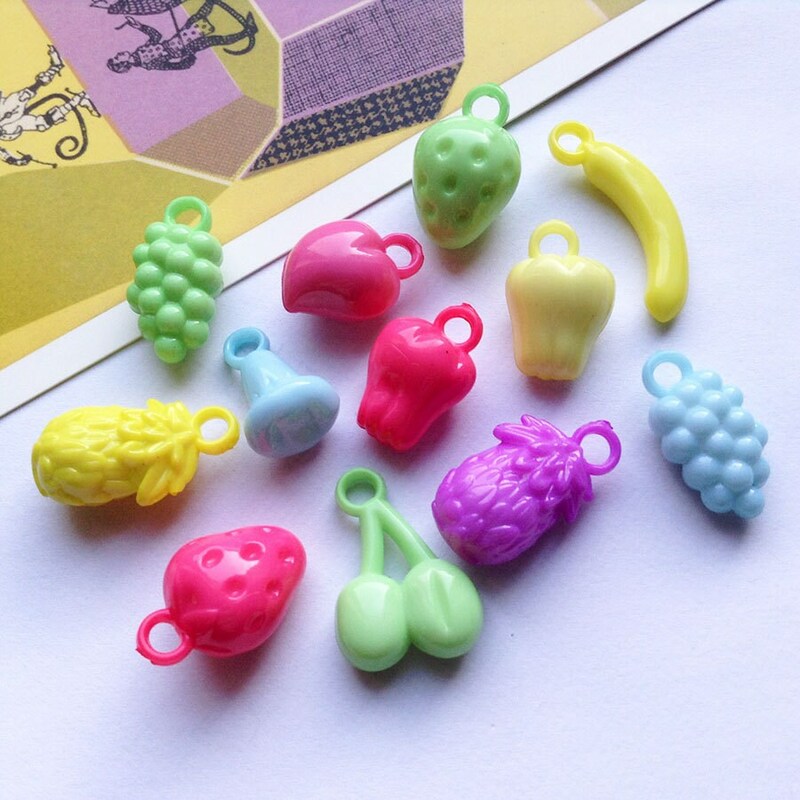 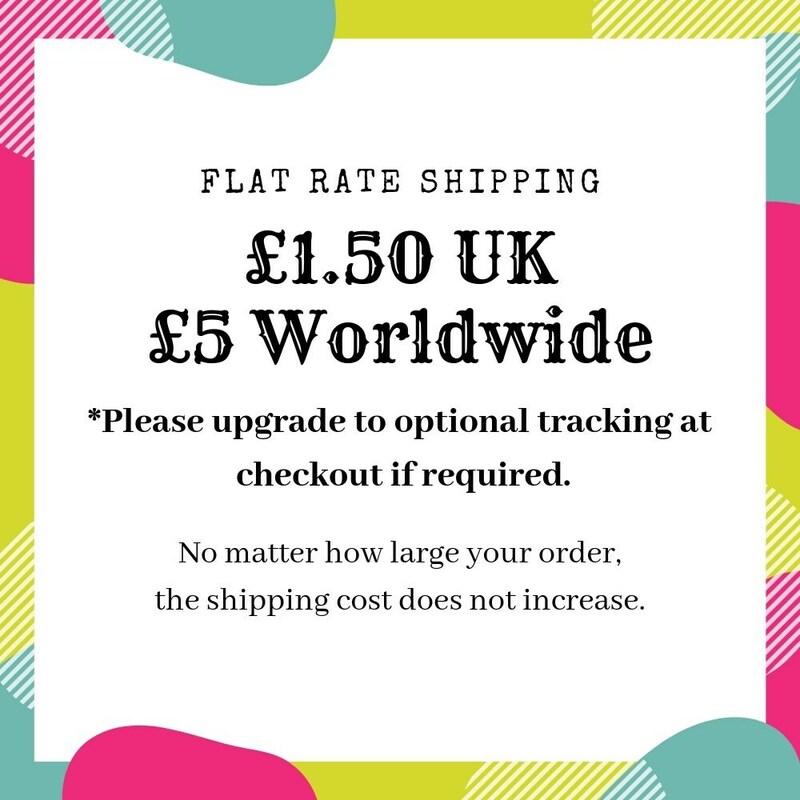 Sold in lots of 15 with discounts for 50 and 100 fruit charms.